Black tie occasions, rustic outdoor nuptials and everything in between can make dressing for a spring wedding a tricky task. Don’t sweat! No matter what the venue is, there’s a match made in dress heaven out there for the next wedding that you have penciled in on your calendar. See our Stylist tips for dressing for a spring wedding! Heading to a wedding that’s set in an outdoor venue? Take a cue from the fauna and foliage and try a floral print dress. 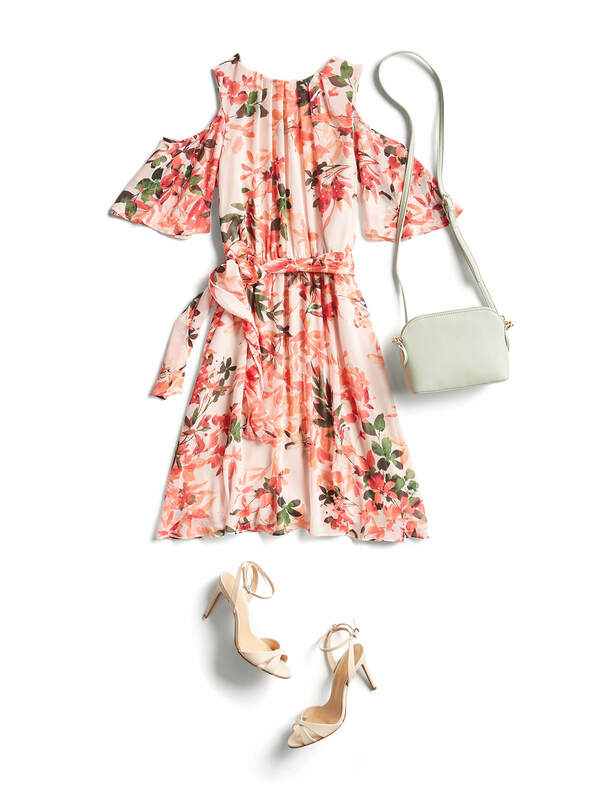 To mix up your florals (that seem to be trending every year), try out a new dress silhouette or length that you don’t normally reach for! Hey, it’s a new season so it could be a new you! Stylist Tip: Skip the stiletto heels and go for a block heel instead. No falling in the grass here! RSVP’d for yourself and a plus one to a swanky black-tie wedding? Try a structured sheath dress or a silky number with simple heels for a polished (and very chic) wedding outfit. You’ll earn extra style points if you find a dress with some interest at the sleeve and step into a trend-friendly kitten heel. Stylist Tip: When in doubt, reach for a “little black dress”. It’s perfectly acceptable to rock an LBD at a wedding. For a church wedding, coverage is the name of the game. Plunging necklines and mini dresses are usually a no-no in any religious venue. Some denominations even dissuade sleeveless dresses, so it’s a good idea to do your pre-wedding research. If your scheduled wedding is at a place of worship, be sure to go for a dress that hits your knee (at least) and covers up your arms. Stylist Tip: Need to make your outfit more modest? Add a tailored jacket or printed blazer at the ceremony to keep your shoulders covered. In the age of athleisure, what does casual even mean anymore? 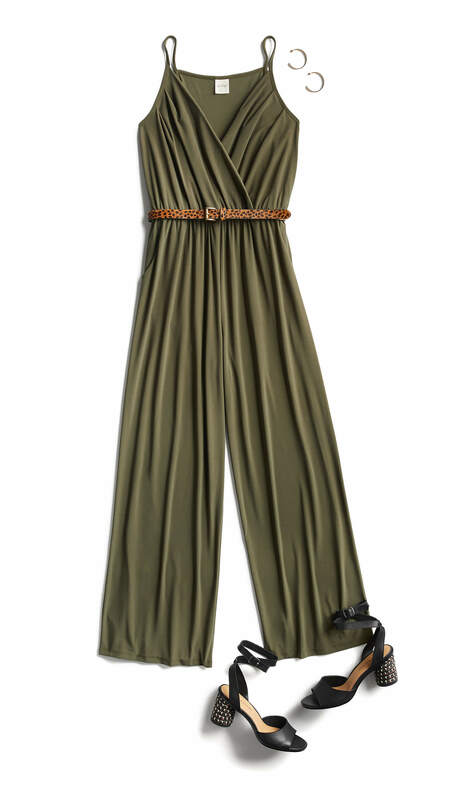 For weddings, that could be anything from a sundress to a separates moment. 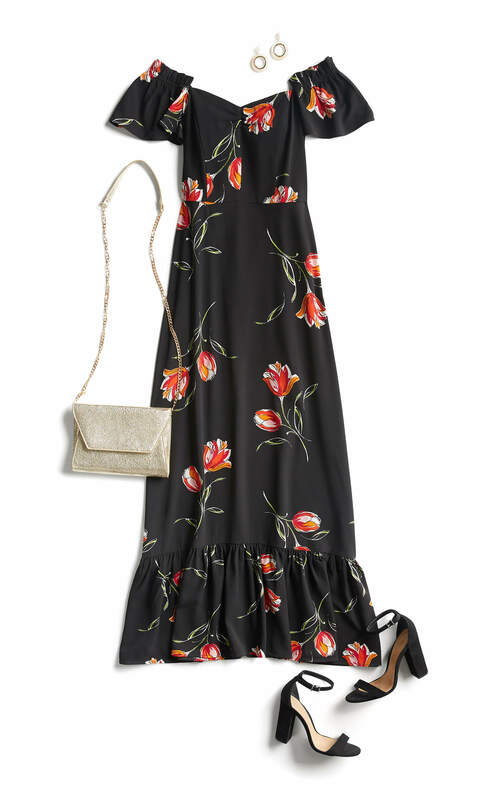 Lucky for you, a casual wedding means you could try a flowy (and very flattering) jumpsuit or a midi-skirt and blouse combo. Whether the weather is nice or stormy, come prepared with an extra layer to keep you warm. Bring a shawl or light jacket: For milder climates, a simple shawl or spring-forward jacket to throw over your shoulders will do just fine. 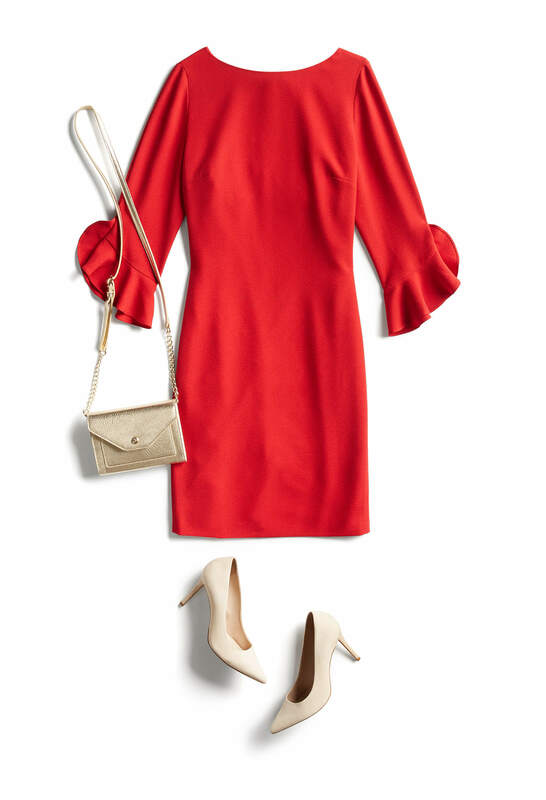 Try a dress with sleeves: Sleeves are the safest style solution for iffy temps. Stay warm in closed-toe shoes: If you’re worried about keeping warm, skip the sandals and go for an ankle bootie, ballet flat or closed-toe pump. —Jennifer M. & Stephania S.